After months of political deadlock, Nepal elects a centrist prime minister. Can he write a constitution? Sushil Koirala has been elected Prime Minister of Nepal after securing 405 of 553 votes from Nepal’s Members of Parliament. Koirala is leader of the Nepali Congress party and has vowed to draft a new constitution for the nation within his first year in office. The election ended a period of political deadlock which persisted since late 2013 when no party won a majority in Constituent Assembly elections. 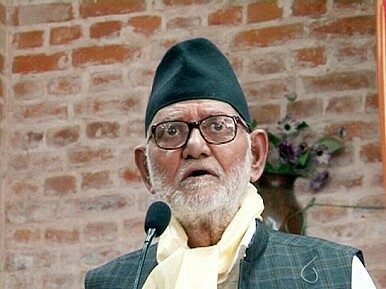 Koirala’s election was possible with support from the Communist Party of Nepal (UML). Koirala will be Nepal’s sixth head of government since 2008 and takes over from its Chief Justice, who had been leading a caretaker government since March 2013. Nepal transitioned from a constitutional monarchy to a federal republic in 2008 and has since been in a period of political flux. In the mid-1990s, the Unified Communist Party of Nepal (Maoist) began a nationwide violent insurgency against the monarchy. Ultimately, the Maoists and a major alliance consisting of seven Nepalese political parties signed a memorandum of understanding in late 2005 that set the stage for Nepal’s transition to democracy under a federal republic. Since the transition in 2008, Nepal has been operating under an interim constitution. A general lack of cooperation between the Maoists and other political parties, including Koirala’s Nepali Congress, has inhibited a swift constitutional process. The Maoists were initially the largest parliamentary party but lost their influence after the Constituent Assembly elections in 2013. Since Nepal’s transition to democracy, it has been a point of geopolitical interest for both India and China. Although traditionally culturally and politically closer to India, the emergence of a significant Maoist political presence in Nepal saw it drift closer to China. In 2008, following the fall of the monarchy, China began building a railway connecting Lhasa in Tibet to the Nepali commercial town of Khasa. That same year, the Maoist-led government proposed scrapping a 1950 treaty with India on economic, political, and security cooperation. For the moment, both India and China lament the political instability in Nepal which risks turning it into a haven for international criminals and militants. After a successful election, can the political factions now put aside their squabbles and move forward?